After each session there are homework assignments that help students practice the skills that were taught. In order to gain the most out of the program, it is important that both students and parents are actively involved in Club Connections. When: Every 2nd and 4th Saturday of the month from 3-5pm, however the 4th Saturday may change to a different date, depending on the lesson. The sessions take place from September through June. Cost: The registrations fee for Club Connections is $500 per year or $50 per month. If payment is in full, cost is $450. 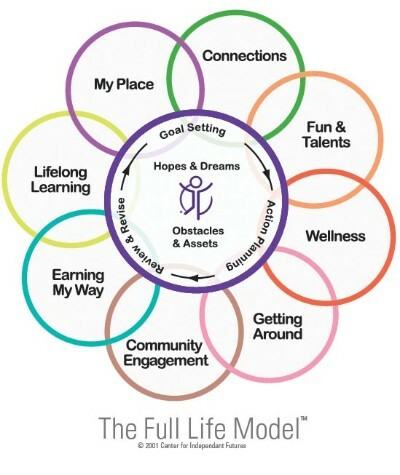 Center for Independent Futures (CIF) "Full Life Model"